I don’t always get scallops right, but more on that in a moment. 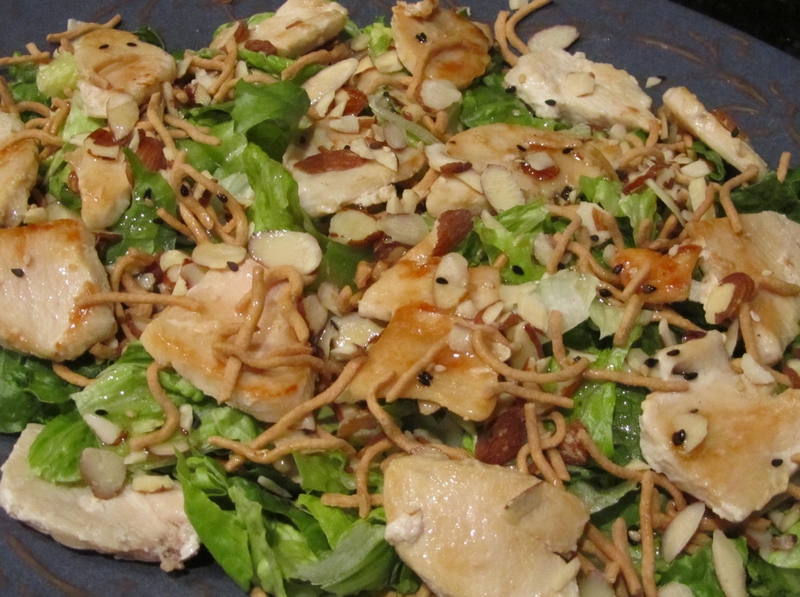 This dish is perfect summer fare–tasty, light, and quick and easy to prepare. As for getting scallops right (a lovely sear), the trick is to remove excessive moisture before cooking by setting them on a paper-towel-lined plate in the fridge for an hour or so. It makes all the difference. So yum! 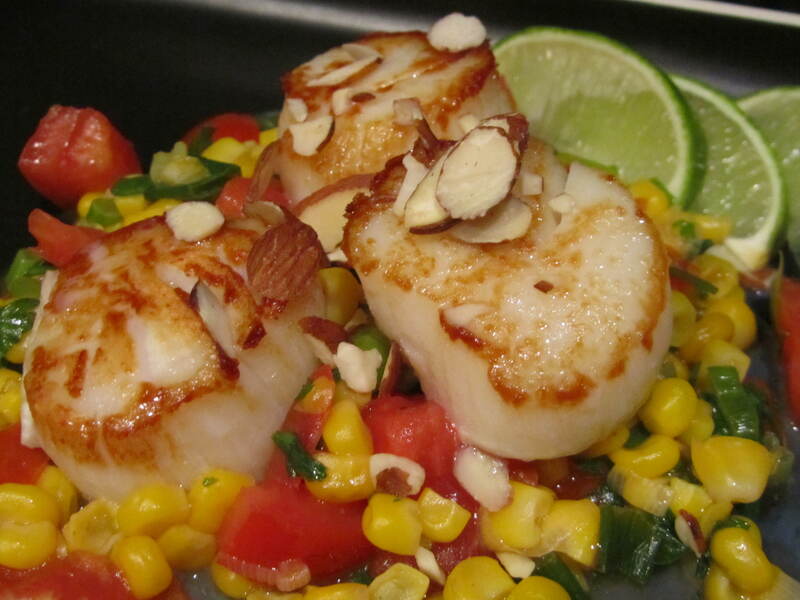 3) Divide corn-tomato relish between 4 plates; arrange 3-4 scallops on top and scatter with almonds; serve with lime or lemon wedges and enjoy! 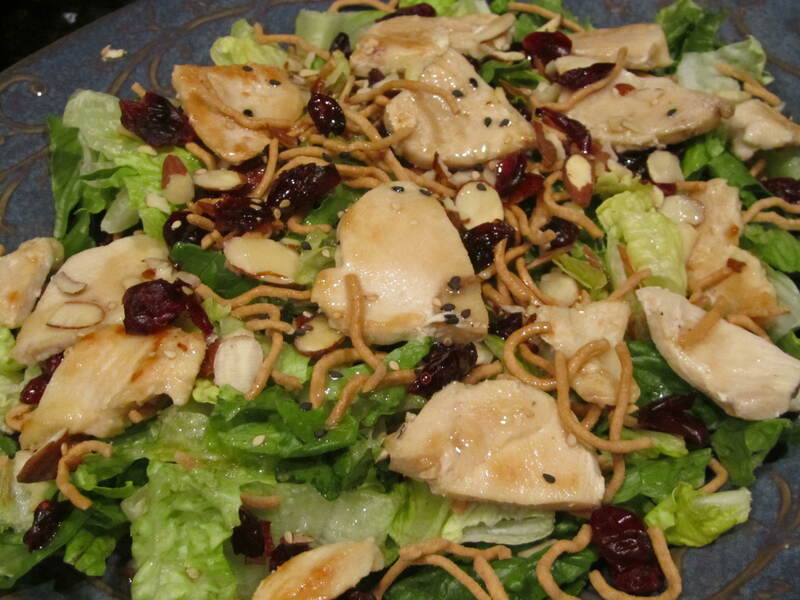 One of Junior Too’s favorite salads is Panera Bread’s Asian Sesame Chicken Salad. 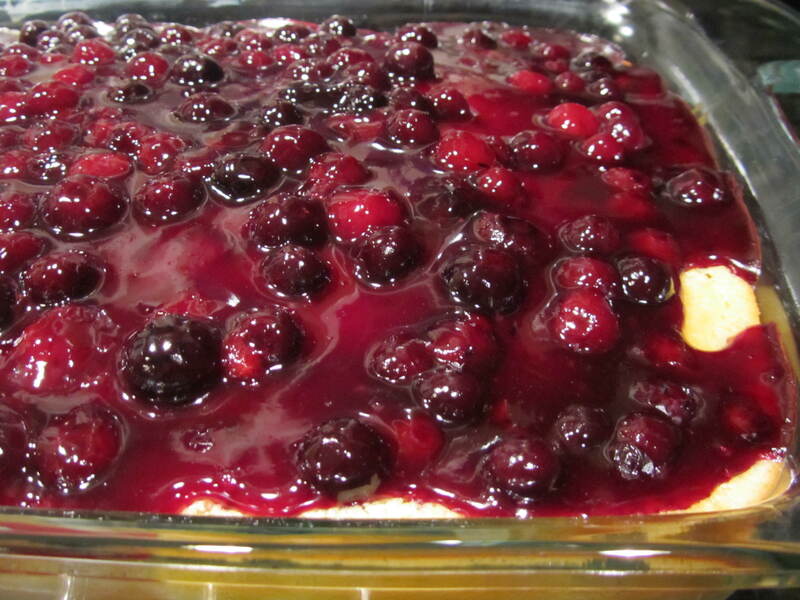 Several years ago, I set out to duplicate it and this recipe resulted. Granted, Junior Too still puts his thumb a bit higher for Panera Bread’s version, but my version is a close second. Note: Senior and I like the addition of Craisins, whereas Junior prefers to stick with the original non-Craisin version. 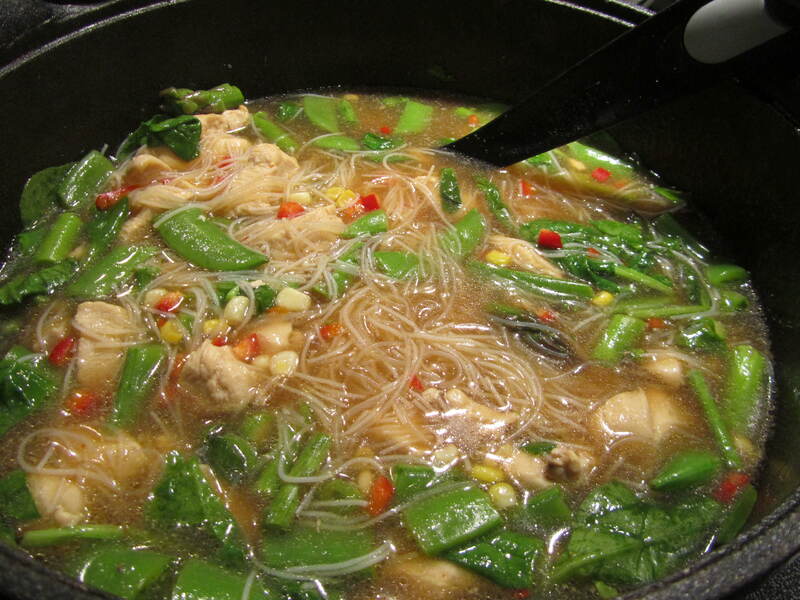 Yes, soup in summer, but only if it’s relatively light and tastes as good as this Asian Chicken-Asparagus-Snap Pea-Noodle Soup–and the air conditioner is up and running, of course. 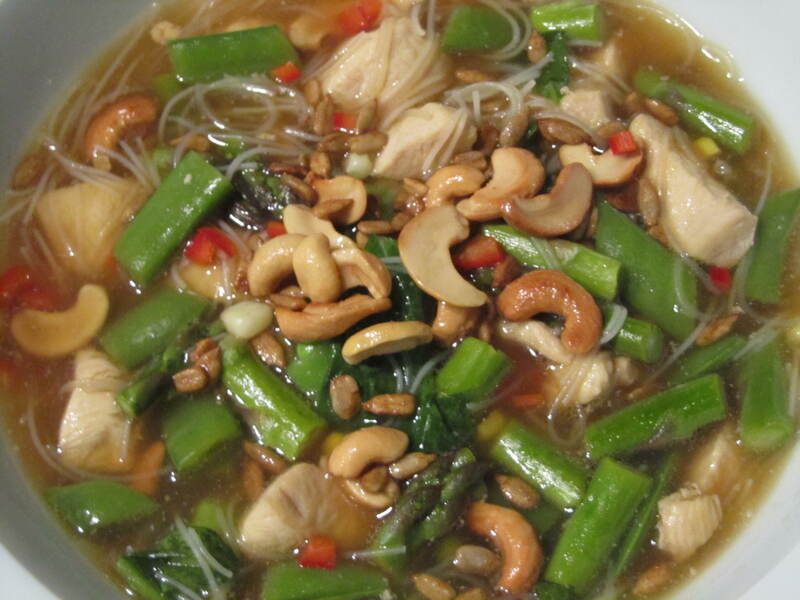 To top off this tasty meal, sprinkle with cashews and sunflower seeds and those thumbs will definitely be up, up, up. 5) Ladle soup into bowls and top with cashew-sunflower mix and reserved red chile; serve! 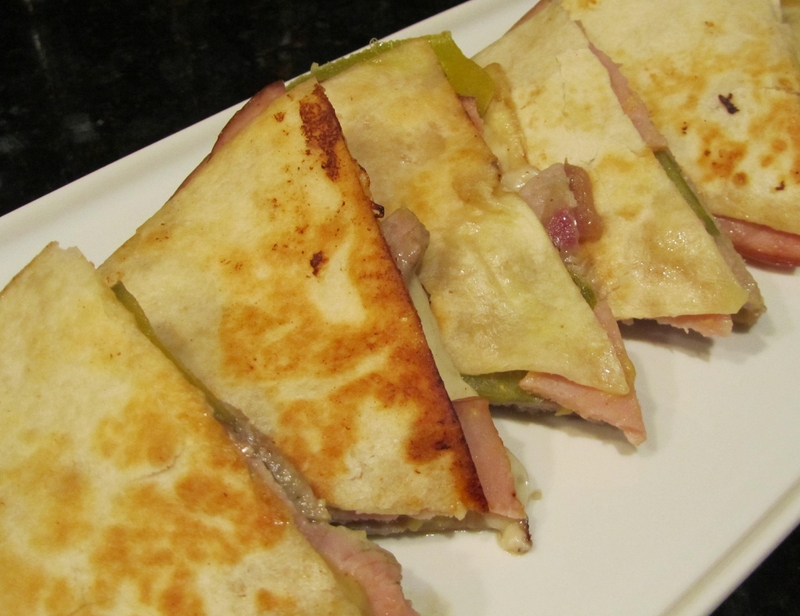 There’s something about cuban sandwiches that makes one’s tastebuds sit up and take notice, but place those ingredients between flour tortillas, crisp them up and–oh, yes–even yummier. 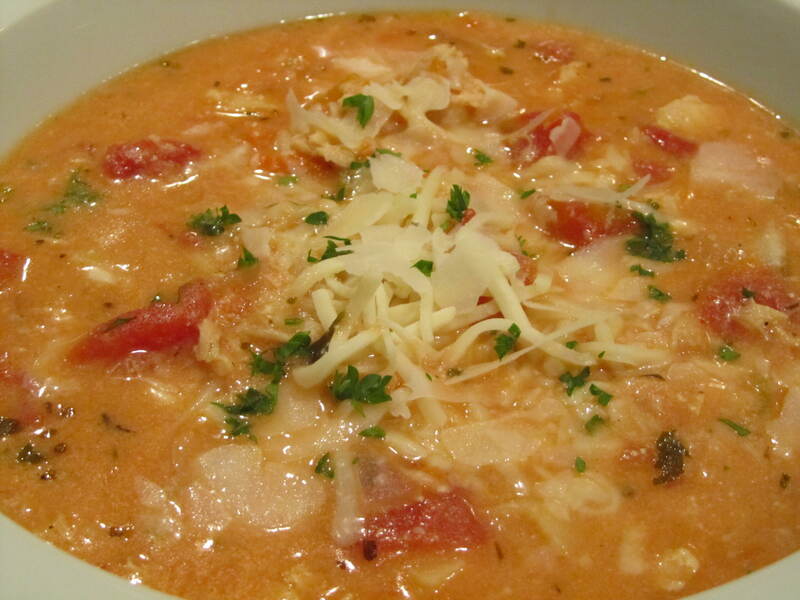 This Chicken Lasagna Soup is another family favorite, and though I served it up in the middle of summer, it was worth cranking up the air conditioning to enjoy the amazing flavors of pan-baked lasagna in an easy-to-prepare soup. 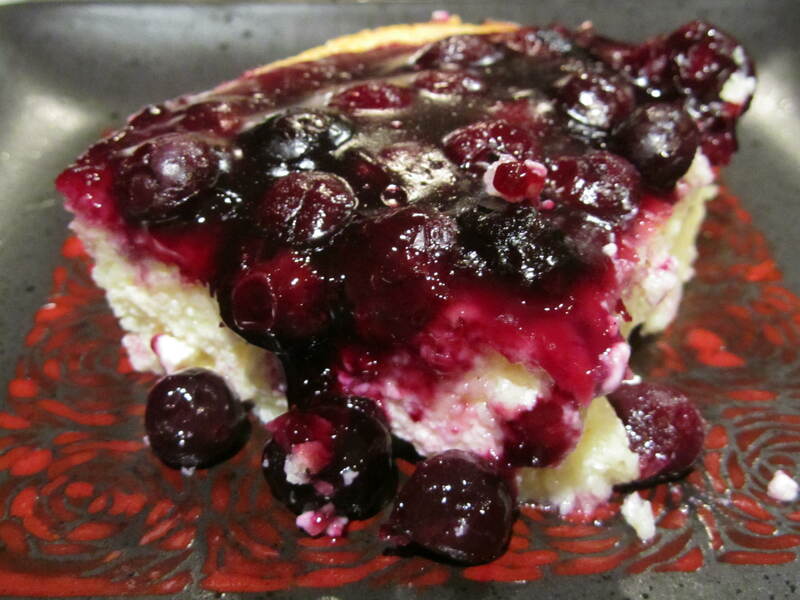 So very delish!